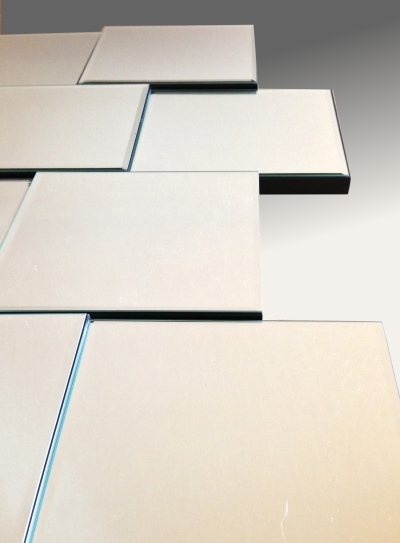 Facet Mirror. A new addition to our range at a special introductory price. 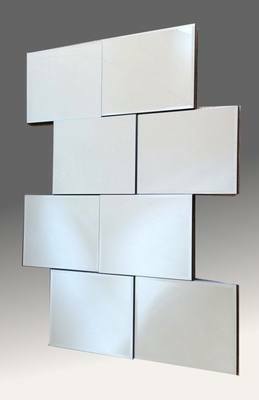 The Facet Mirror is a contemporary mirror made in our own workshop and features eight rectangular bevelled mirrors each set at varying depths and offset against each other. 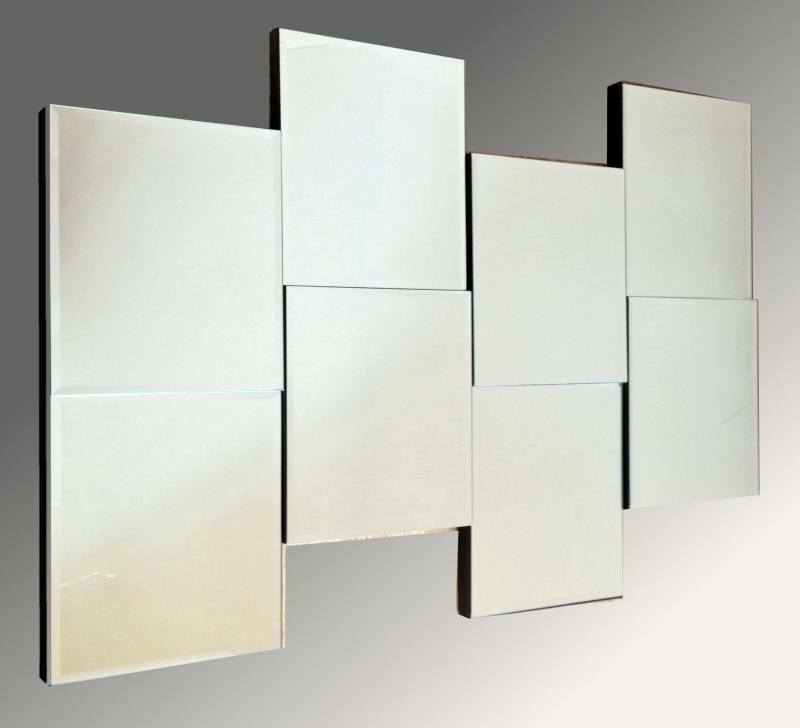 This mirror can be hung landscape or portrait as can be seen in the images below.